As a Certified Relocation Specialist & Military Relocation Professional, I provide assistance and support before, during and after your move to beautiful Phoenix, Arizona. 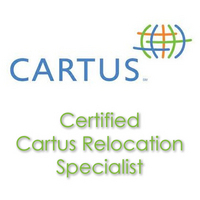 My certification includes Cartus & USAA as well as many other relocation companies such as SIRVA, Affinity, Brookfield Global, Altair Global, the list goes on. Phoenix is home to Luke Air Force Base and I have had the pleasure of assisting families with their Military Relocations. Helping countless military clients sell homes locally as well as other parts of the country or purchase their new homes "sight unseen" from across the U.S. or overseas. At your request I will provide you with a Relocation Guide to help you get your move started. It will include maps of Phoenix, East Valley Communities of Chandler, Gilbert, Queen Creek, Mesa, Tempe or the specific area you are relocating to. Information regarding schools, parks & public areas, churches, shopping centers and restaurants. Descriptions of area neighborhoods, including average prices and types of homes and parks and schools in each community. A relocation checklist is a must when planning out all the things that need to be taken care of before you leave your current location. As well as all the things you will need to take care of once you arrive to your new destination. When there are moving/transfer deadlines associated with your relocation, having a Certified Relocation Specialist on your side gives you a huge advantage. Specialized relocation guidance through the loan pre-approval process is also a part of my service. Before you begin to shop for a home, you can enhance your buying power by getting pre-approved or pre-qualified. As an East Valley Real Estate Specialist, I can provide personalized assistance to help you learn about the Phoenix East Valley or surrounding community real estate markets will speed up the relocation process. I will provide you with automatic e-mail alerts of each of your customized areas of interest, as properties become available. Your "favorite properties" will also be saved as your home search continues. I will monitor desired areas for new listings, price changes, open houses, etc. Once you have found a home I can provide you with a broad selection of lenders and loan options to best fit your situation and secure your mortgage as well as recommend inspectors so you can purchase your home with confidence. 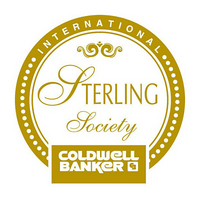 If you would like to contact Suzanne or request more information, Click Here. Simplify the transition as you approach the closing of your home assisting you each step of the way. To read Client Testimonials. Click Here.